Outerwear, outerwear, you never cease to amaze me how effortless an outfit can become. invest in coats and jackets. The tailoring and fit is also very important. live in such a cold climate, i.e. it does not snow, I would hate to invest in another coat that gets probably worn less then four weeks of the year. So, I realised that by taking off the belt and unbuttoning the grey coat above, a masculine shape can be achieved. More on this later! being as thick as my grey coat is a piece that works well in autumn and spring. I wonder if layering it with my grey coat during winter for extra warmth is a good idea? Now to the jackets. Leather, bomber and knit jackets are the best trio in my opinion. I only recently bought the leather jacket and I am amazed that I did not have one earlier. It gives "pretty top to toe" a toughness and "casual outfits" an edge. While, the bomber pairs best with skinny jeans, tees and sweaters and seriously keeps the harsh winds at bay. 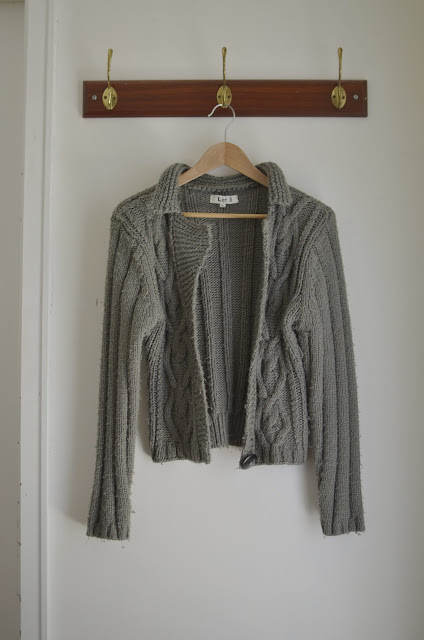 The knit is my all time lazy slouchy option which I should not wear when the temperatures really drop because the cold creeps right through, however I still do, as it goes with everything. The colour started to fade last year and is fading faster now. Might have to consider finding another one soon. Another thing I noticed, I own predominately black or grey outerwear! It does not really bother me, neural colours are my favourites. Your first grey coat is gorgeous! Looks so comfortable. And it is such a versatile shade of grey; not too dark that it's so close to black, nor is it so light that it looks dirty easily! I love the menswear silhouetted coats too- but it's great to have a nice tailored/fitted one too. 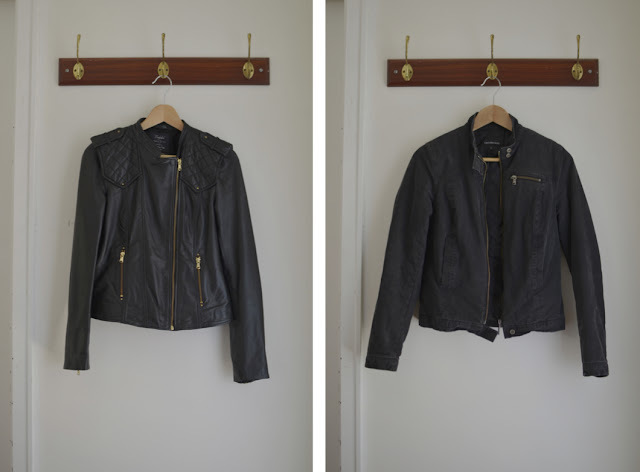 Love your black leather jacket. I would love a black one someday. I've had a brown leather bomber jacket for some 8 years now and I love it, but I find the brown not as versatile in my wardrobe. I still wear it all the same, but I feel a black one would be more fitting in my wardrobe. I love the quilting on the shoulders of yours though- quilting is one of my favorite design details on garments! 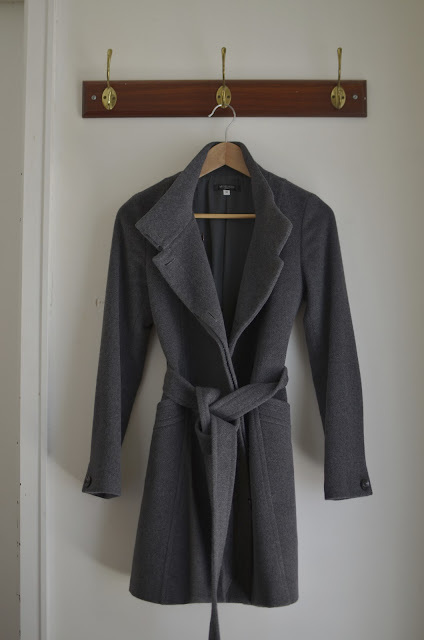 A tailored coat is definitely more practical, but if I do buy another coat I'm thinking of a menswear style one! 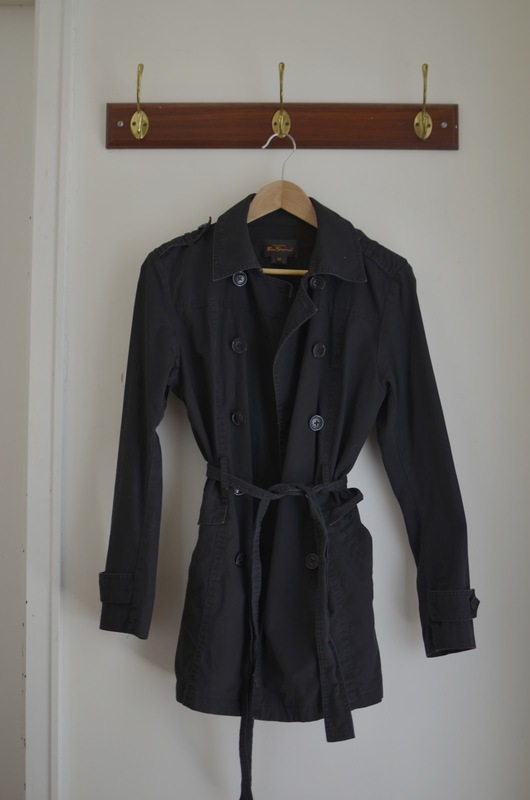 Burberry is the classic when it comes to the trench! Totally agree, one day, one day I would love one! The funny thing is I nearly didn't buy the leather jacket because of the quilting but I am so happy I just bought it which thinking too much! Sometimes I totally over think and end up not buying it and wishing I had! The quilting detail makes the leather jacket so much more unique and I agree, the black is more versatile! That black leather jacket is divine; I've been searching for something in a similar style but haven't found the right one at the right price yet. I have a leather and tweed biker jacket that I have practically worn to death this winter. I was actually surprised at how versatile it proved itself to be. It has taken me quite a while to find a black leather jacket. My long list of details and seeing amazing designer ones, especially the Balenciaga quilted leather jacket didn't help, too! My leather jacket is from Zara, which I bought during a sale, so the price point was very good considering it is 100% leather and the tailoring is superb as it sits on all the right places. Hope you find one soon, have you checked Zara? Even browsing through the Outnet and Shopbob you might find something good. I love the combination of leather and tweed, it is like prim and proper meeting rebellious and edgy! I agree, it is not something that people straight away see as versatile but because of the fusion of different styles it pairs well. try the leather jacket under the gray coat. it´s warmer than you think. a really thin down jacket is also a good buy. fits under almost any jackets and coats. Funny thing is, I had to wear the leather jacket under the grey coat last year, while travelling because I just did not have the hands to hold everything (luckily I was going from a warmer place back to the cold and rain). It really surprised me how much extra warmth it provided and it meant one less thing to hold! Never thought of that, I will definitely look into the down jacket.